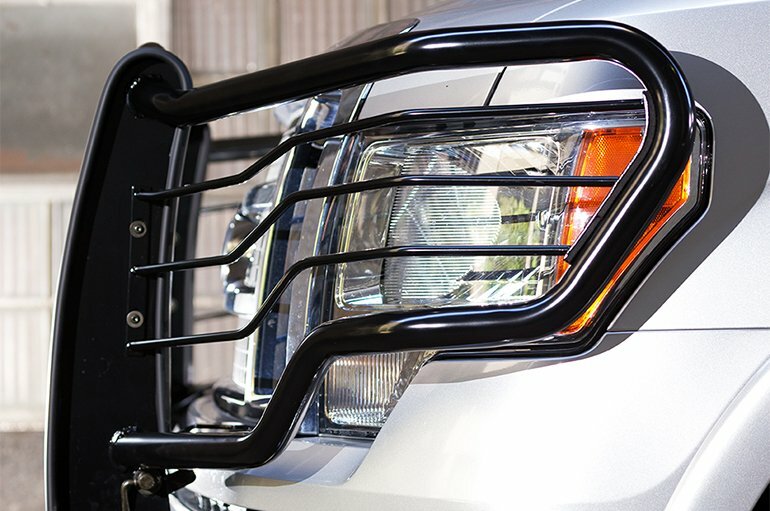 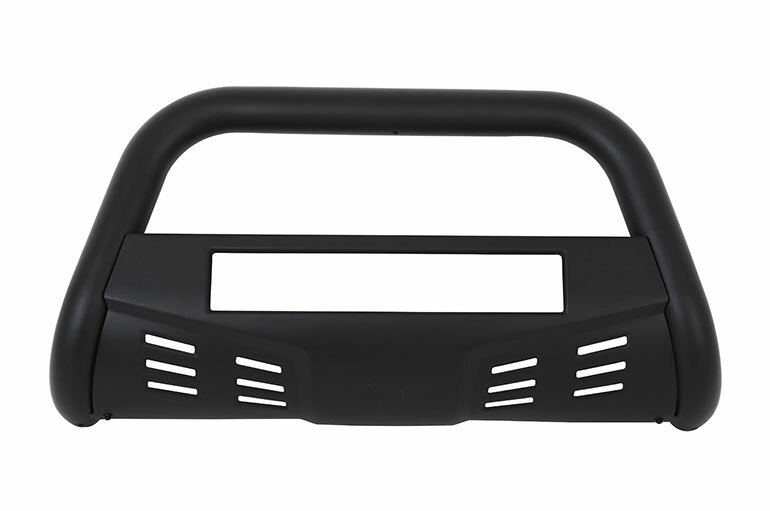 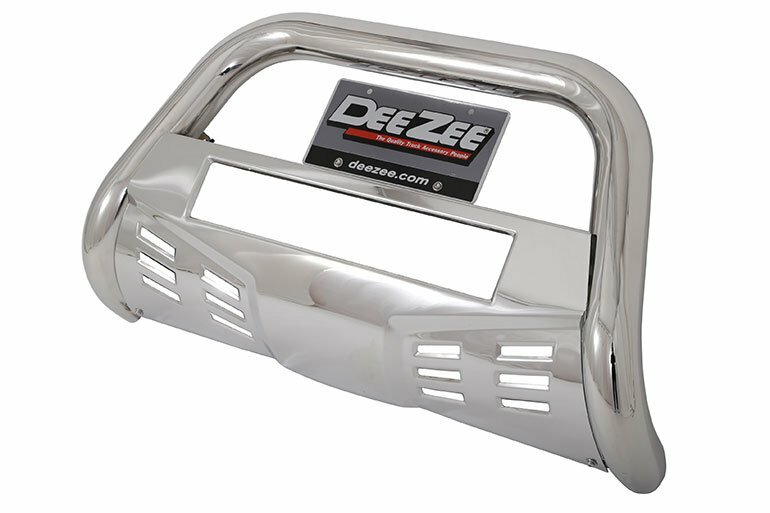 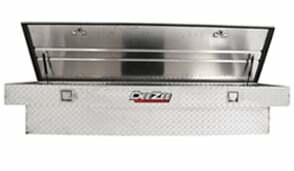 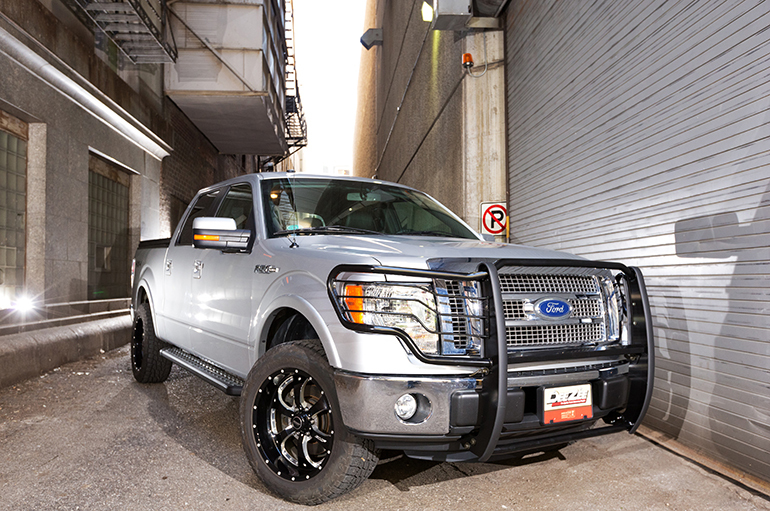 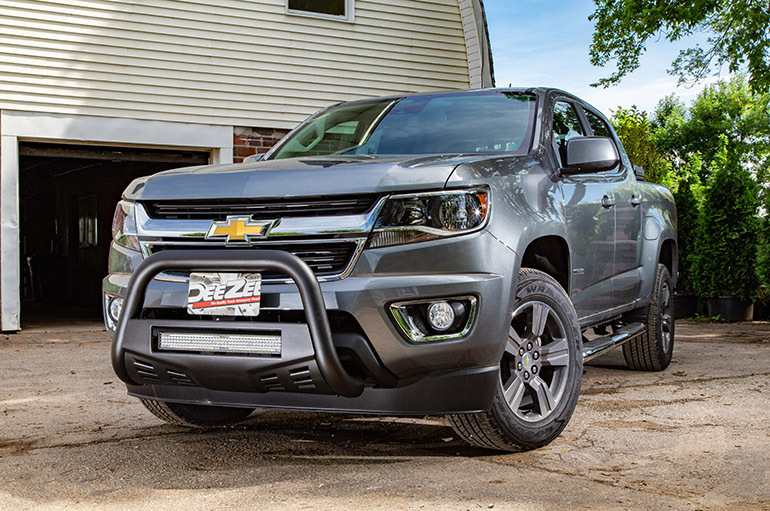 Protect the front of your vehicle with the sleek contouring design of Dee Zee’s UltraBlack Grill Guards. 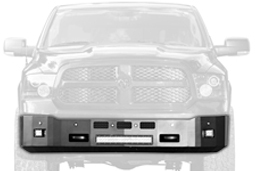 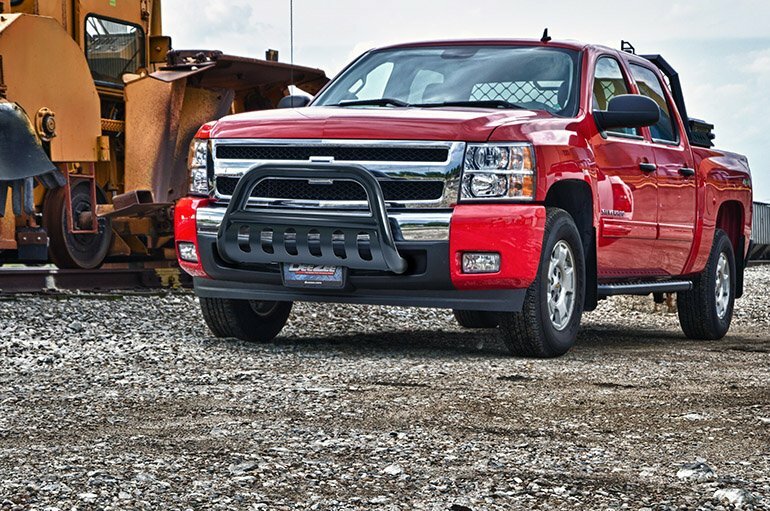 The road can be a scary place for your truck. 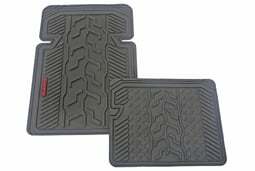 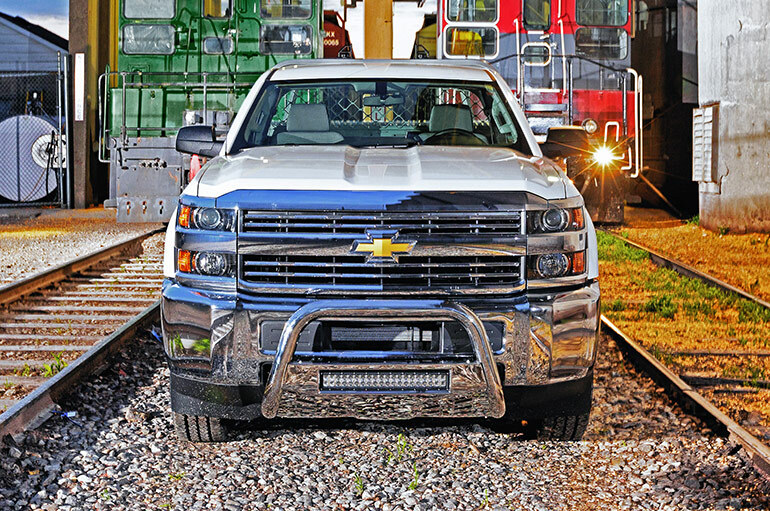 Driving head on into harsh conditions can lead to unsightly and costly damage. 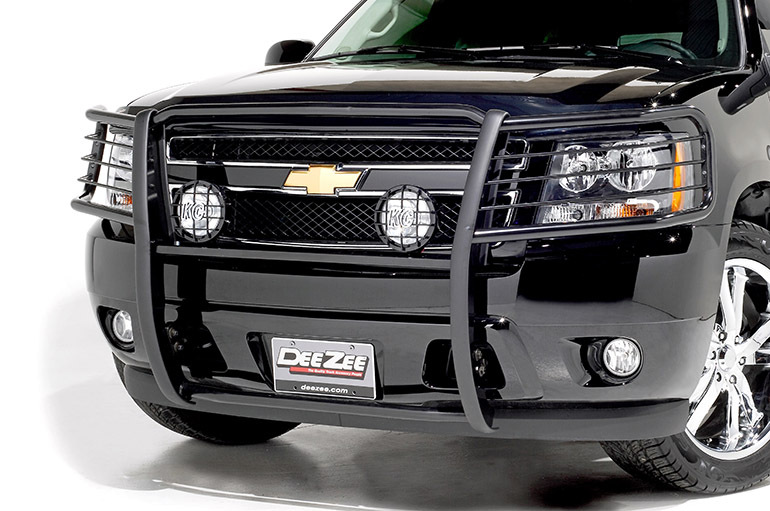 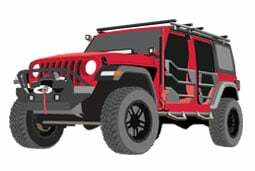 Dee Zee’s UltraBlack Steel Grill Guard adds protection to the front of your vehicle; defending against branches, sticks, and other damaging road debris while adding a stylish black accent that exudes toughness. 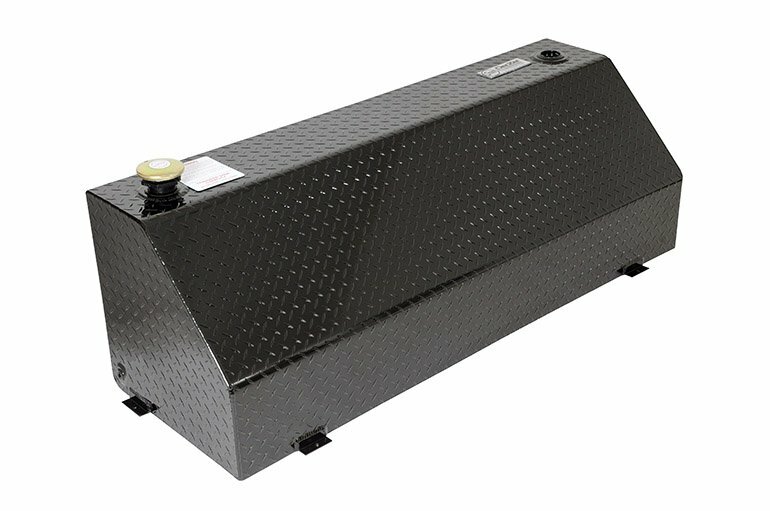 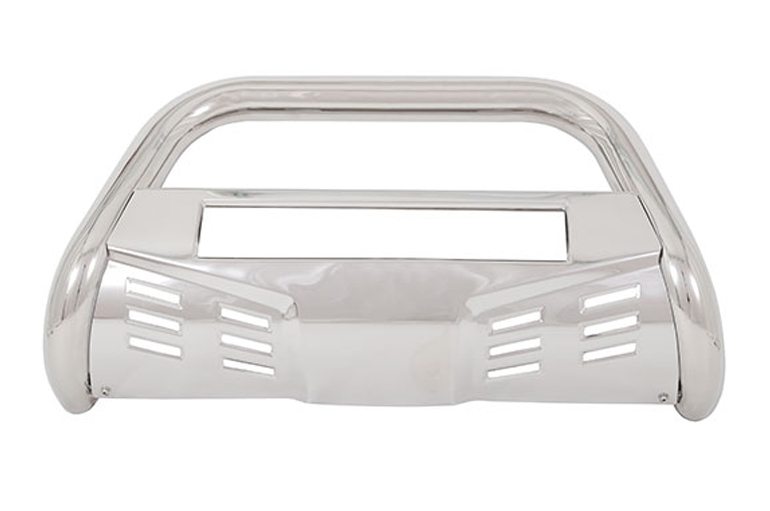 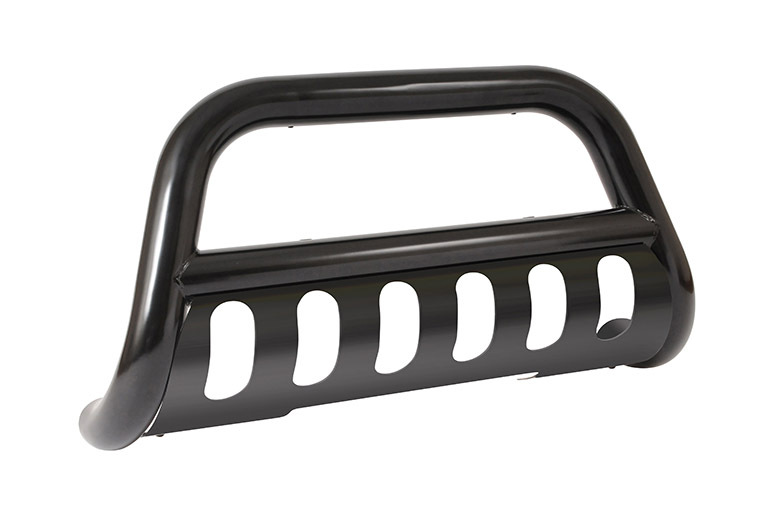 Constructed of durable 18-gauge steel with a protective black powder coat finish, heavy duty one piece welded design and a European contoured styling- for attractive protection that lasts. 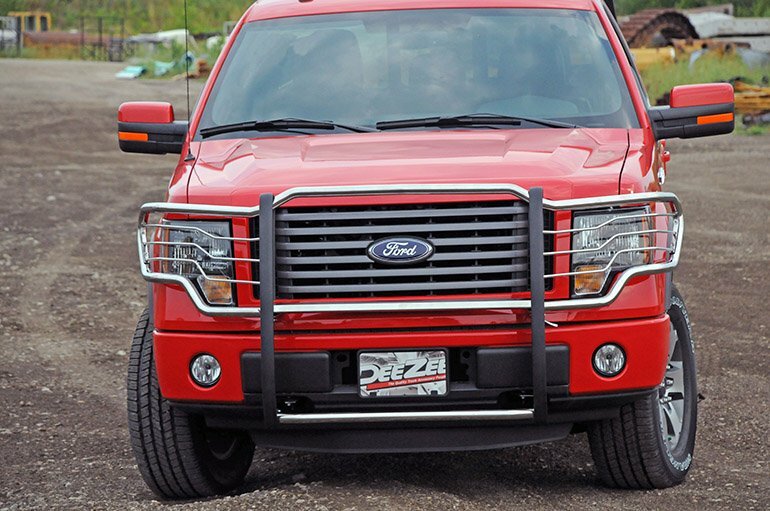 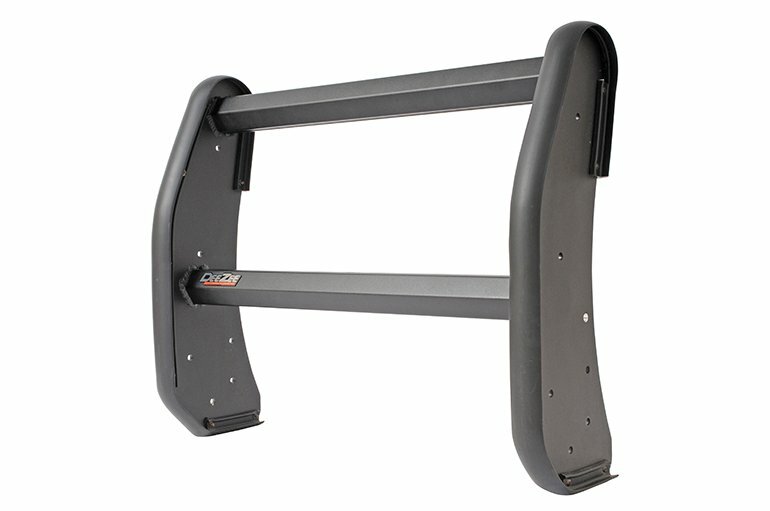 What good is a tough grill guard if we skimp on the hardware? 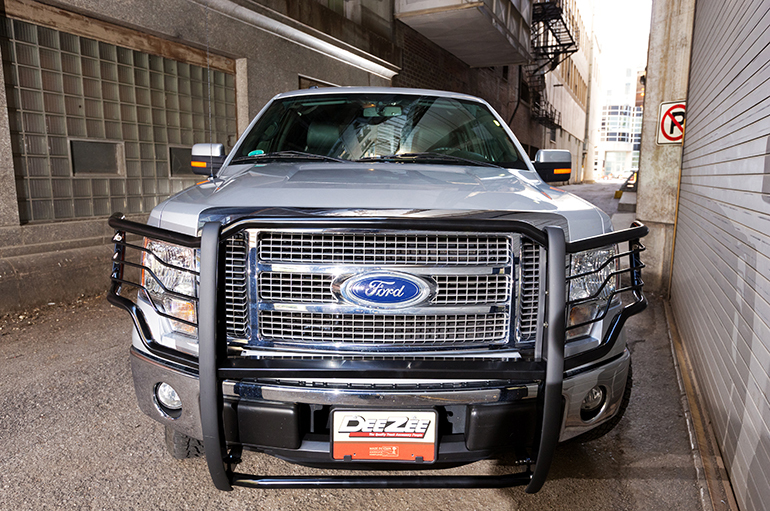 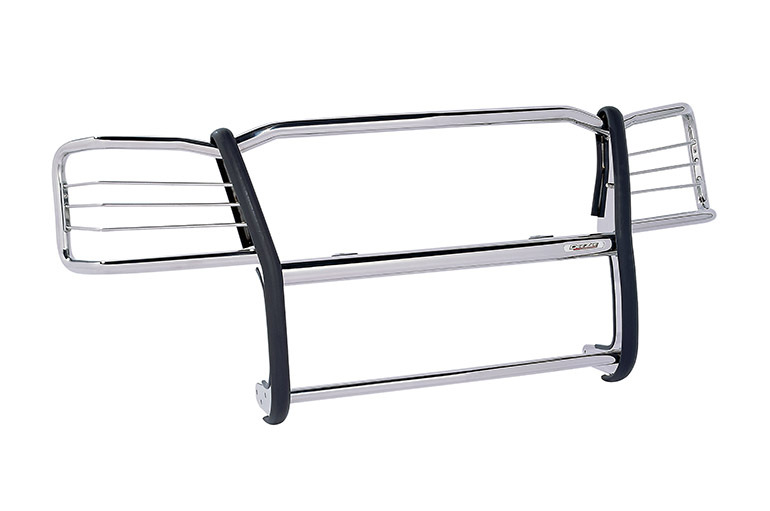 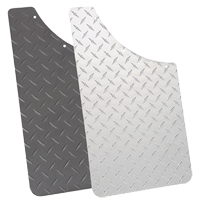 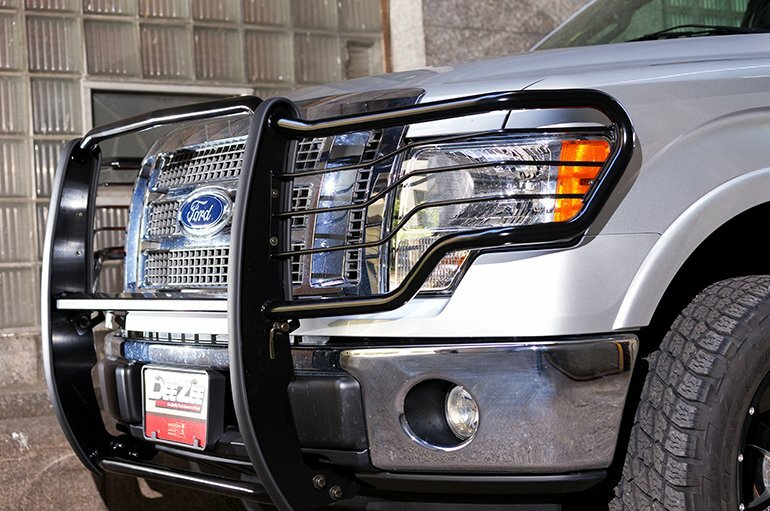 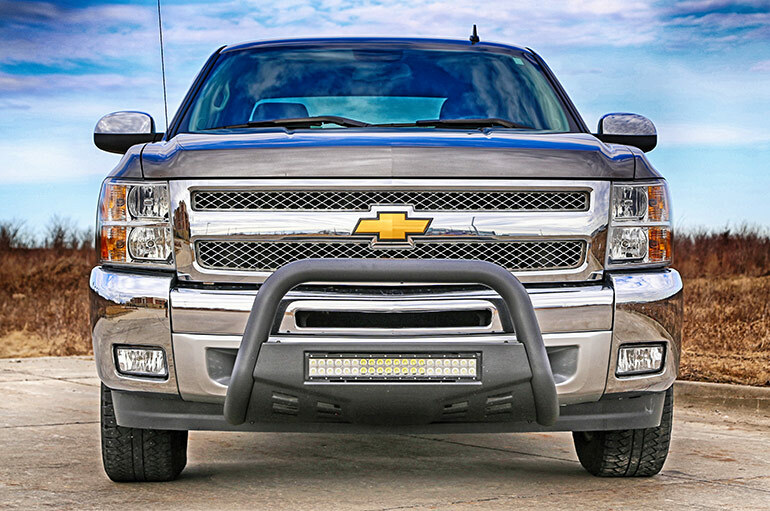 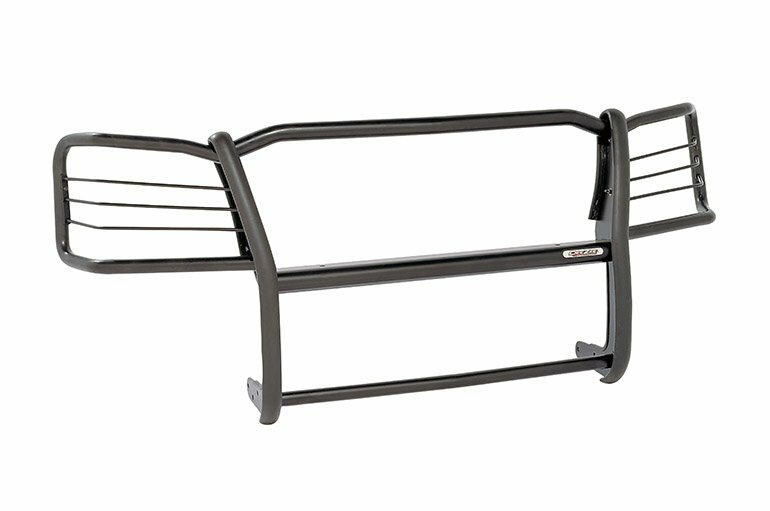 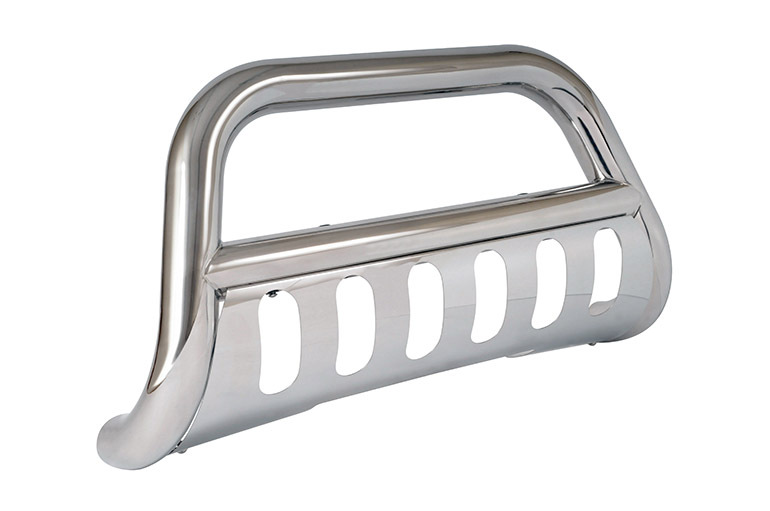 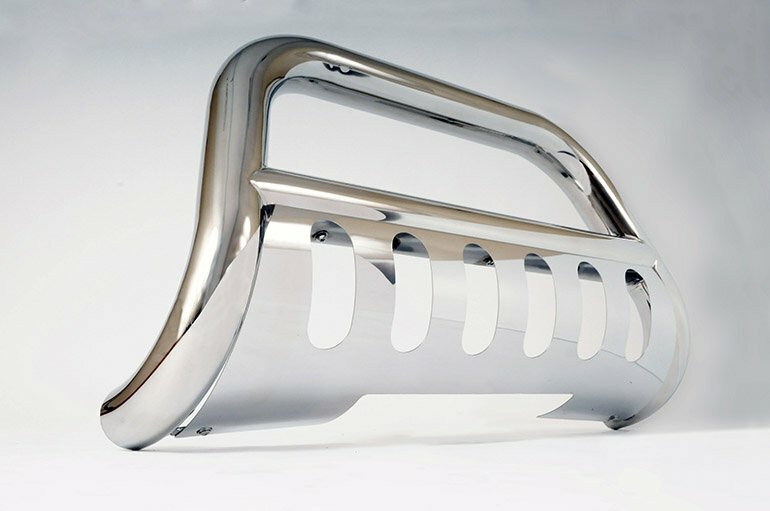 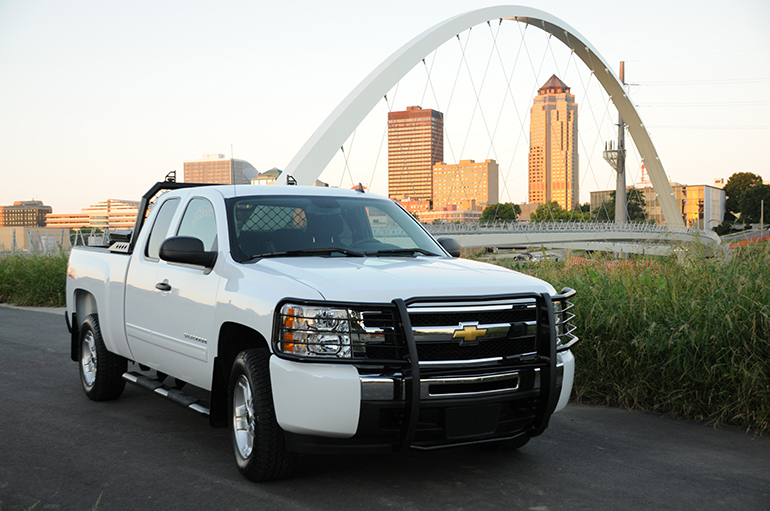 That’s why we went with rugged powder coated brackets to keep your grill guard feeling solid for years. 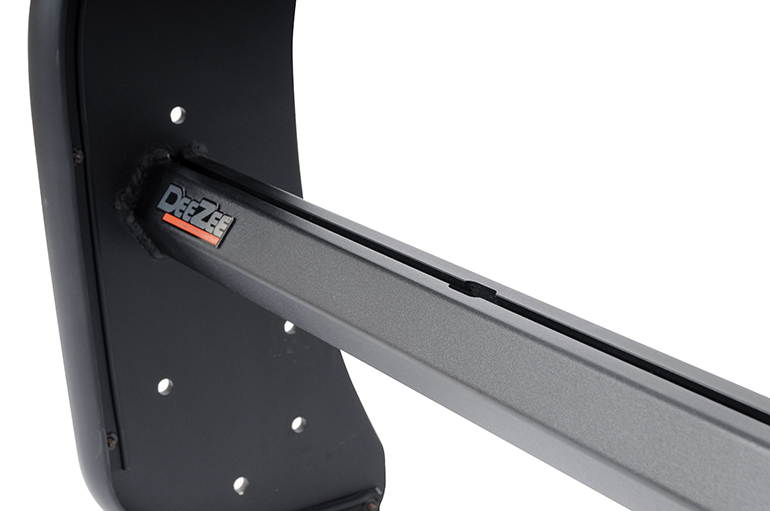 No Drilling required, for hassle-free installation! 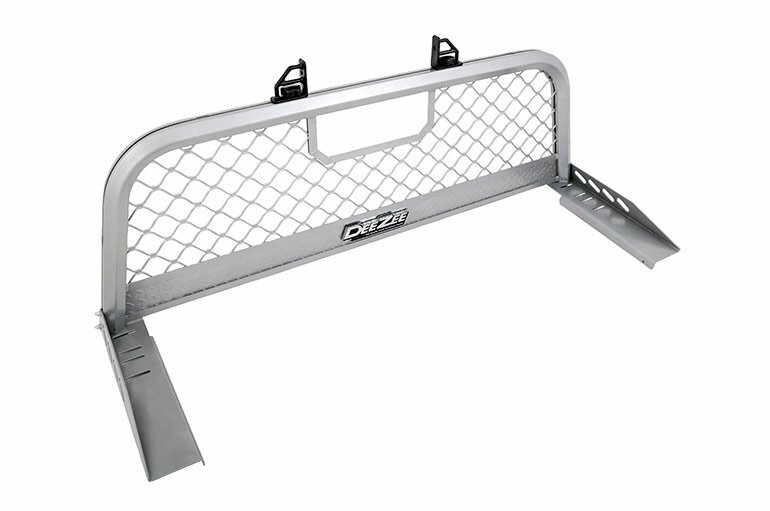 *Not intended for crash protection.